I took a few comment to heart. I have not been eating my veggies. I don’t know why. The crisper was full. (Before I got health I called that drawer at the bottom of the refrigerator ‘the rotter’ because everything you put in there rotted). But today I brought some of the veggies in to work. I had an additional half pound of carrots, a half container of tomatoes and a half cup of spinach (on my sandwich). I really like the taste of all of these I was just be neglectful! In related news, I was reading some blogs yesterday and Jim at 50 after 40 had a post on the idea running weight. An excellent read! He put a couple of links up to a couple of articles and I researched it a little bit further. What I found was interesting. Of course, some runners are more interested in fastness than fitness. They want to know: What's my best weight for fast 5-Ks and marathons? Will losing weight help? The answer is almost always yes. But, as with BMI, only to a point. Lose too much weight, and you become weaker and slower, not stronger and faster. Still, there's no denying that healthy runners will race about two seconds per mile faster for every pound they lose. [ I HAVE BEEN SAYING THIS FOR YEARS! – I KNEW THAT I HAD READ IT SOMEWHERE ] Weight loss boosts maximal aerobic capacity (VO2 max), an essential contributor to distance-running potential, because the less weight you carry around, the more miles per gallon you get from your oxygen. And because losing a few pounds makes running easier, you should be able to increase your workout distance and speed. So losing weight helps you train harder. The article went on to mention a researcher from the University of Dayton (Paul Vanderburgh) who devised a calculator that would “equalize” performances among runners of different weights – click here. It says that my last year’s marathon time of 3:08:44 would be equalized to 2:51:04 (equalizing me being 37 years old @ 160 lbs. to 25 years old @ 143 lbs.). Not world record or anything but I’ll take it. Furthermore, and this is where it gets interesting, I know that many of you have followed my FAILED sub-3 marathon attempt from last month (Race Report, Movie) . The chart above shows the time gained by losing weight. So last year I ran a 3:08:44 in the Mardi gras marathon. How would losing a little bit of weight effect the time? Damn, I can’t believe it! Ten pounds would gain me 8:44! What was my time again? Oh yeah, 3:08:44. I guess that is how I will achieve my sub-3. interesting. Now you have put doubt in my mind for my race tomorrow HAHA. I am at 209lbs give or take (depending on the day). I was racing at 190 last year. Crap. keep reminding me...I need to hear this OFTEN. I also need to learn to KEEP IT OFF! Mmmhmm this goes along well with my goal of losing just a little bit more for the sake of running faster. Although I have run some pretty fast times at a weight even 10-15 lbs more than I am now, but it took a lot more effort. I've been nailing it with the diet lately, I feel great :D I loosened up a little today and allowed some extra carbs so I've got energy for tomorrow. It's only a 5k, but my body definitely needed a little extra fuel after a few lower cal weeks. Nice work on the veggies! Isabelle says good job, Uncle James! Don't forget the frozen peas. Great post! And keep it up with the veggies... I sometimes fall into the habit of letting things rot in there as well, but I might try your trick of packing more with my lunch. It must be veggie day today! And I love those numbers on losing weight and how it affects speed. Sometime this weekend, I am going to use those and visualize a faster me! Stay focused! You can do it. 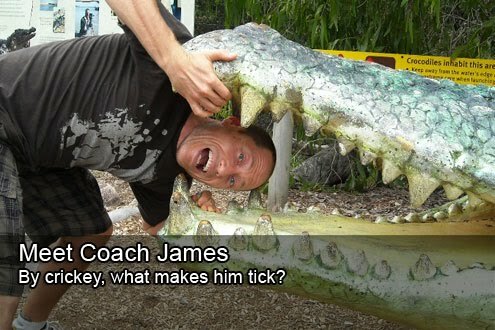 Careful James...this is a slippery slope. Keep in mind that the RW article said 'healthy' runners. Healthy and thinner are not quite synonymous. I was of the camp that race weight mattered and as the season went on, I tried to shed those last few pounds. I 'thought' my race weight was about 158. But I quickly learned that once I got there, my power dropped on the bike, my immune system was suppressed, I didn't recover and I became more injury prone. All that over 5 pounds. So keep in mind that there is a point of diminishing returns. As you know, the body is an amazing thing and it will do ANYTHING you train it to do. But that doesn't mean it is always the best solution. And you often don't know you went too far until it is too late. Weight is a VERY emotional thing for people and that messes with the head, sometimes in negative ways. Over the years, I have decided my 'race weight' is between 162-164. That is ultimately where my weight rests in season and out of season. And best of all...I can eat how I want and still maintain the weight. That alone gives me a piece of mind. I have no doubt that if I made better nutritional decisions, I would shed a couple pounds. But I want to be sure the motivation is to eat better...not to lose the pounds. That way the weight loss and stabilization is normal. Just my two cents from ADollar.